While living in the United States, we rarely made French fries at home. Crispy fries found at most restaurants were inexpensive and delicious. But after moving to a little town in the Peruvian Andes and eating more than our share of limp fries, we realized the only way to enjoy restaurant-style French fries—crispy, tender, golden—was to make them at home. Our first challenge was to choose the best variety of potato. Living in a country with over 2,300 varieties of potatoes made that a monumental task. See the box below if you'd like more information on choosing the perfect frying potato in the area where you live. Next came the frying oil. Not all oils are created alike. Oils with low smoke points degrade at high temperatures, with serious consequences. Oils reused in restaurants eventually become a thick, toxic soup. Although fried foods aren't exactly high on the list of healthy foods, at least we can fry with safer, clean oil. 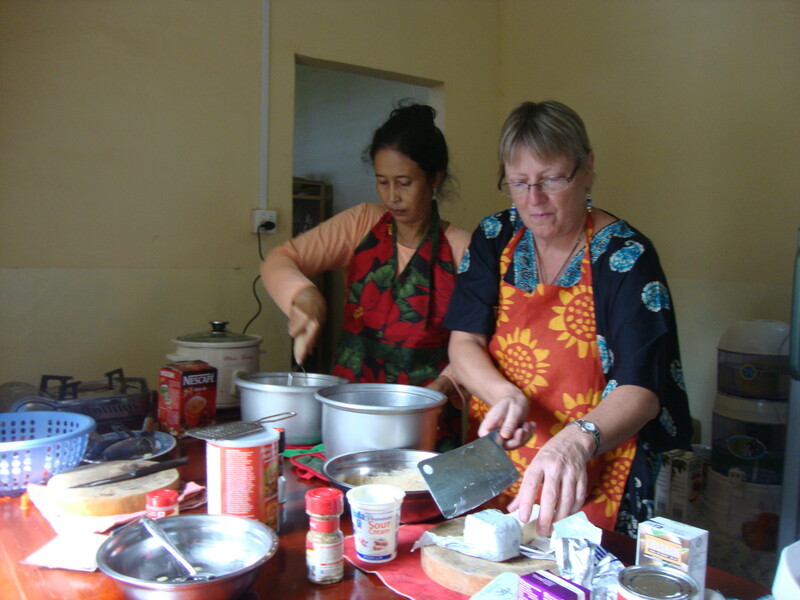 Read "How to Choose a Healthy & Tasty Cooking Oil" for this important information. After experimenting extensively, we found the double fry method produces the crispiest, most tender fries. Soaking the potatoes in cold water first and lightly dusting them with cornstarch before frying (a tip from Cooks' Illustrated) considerably ups the crispy factor. Some recommend soaking potatoes in sugar water. If you've tried the sugar water method, let us know in the comments section. Please stick around after the recipe for a discussion of seasoning options. Lastly, take our poll: "How Do You Like Your Fries?". Poll: "How Do You Like Your Fries?" While deep frying, it's best to wear a heavy apron and a long-sleeved shirt to protect the arms. Choose a deep, heavy skillet. If you live at high altitude where frying is a bit of a challenge, choose a black iron skillet for its heat-retaining properties. 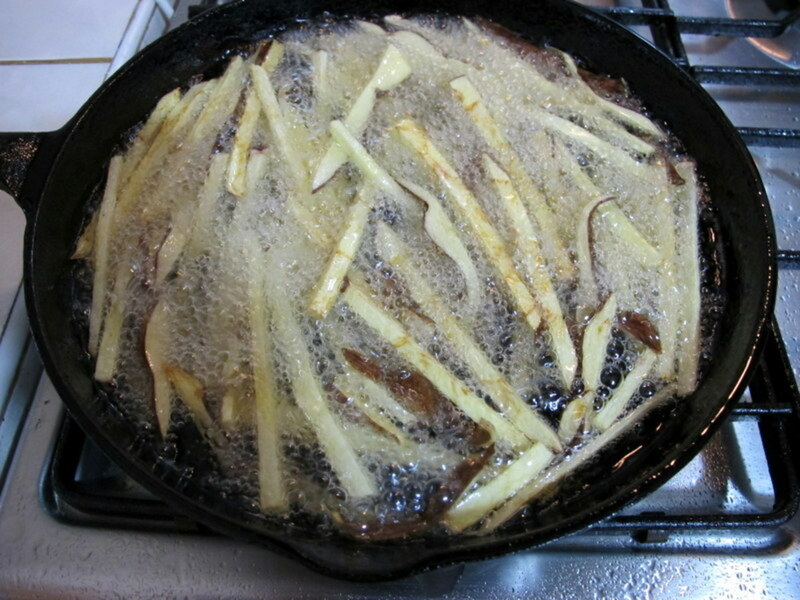 Add oil to the cold pan, allowing at least two inches of headroom in case the oil bubbles over when you drop in the fries. Two important tools you need for deep fat frying: a long-handled slotted spoon and deep fat frying thermometer. 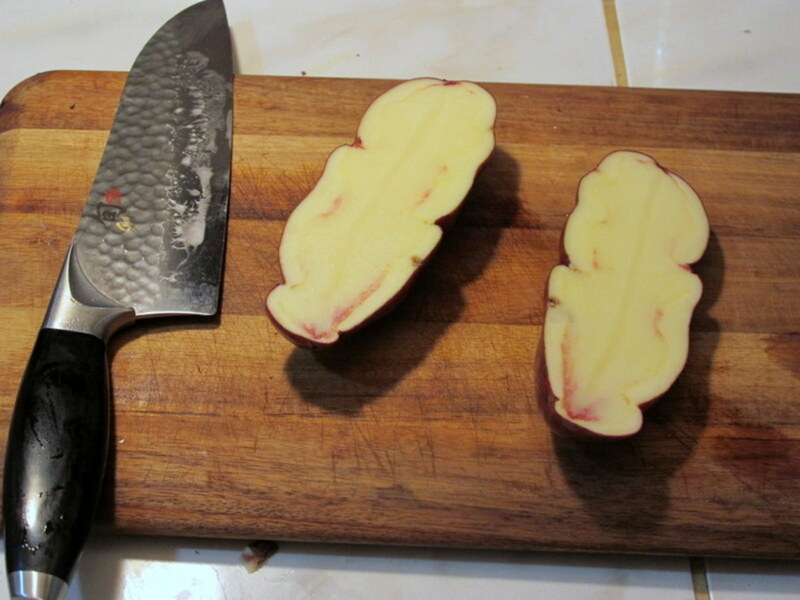 If you make French fries frequently, consider investing in a mandoline. The Swissmar Borner mandoline, sold by Amazon, is the best in its price range and will turn out uniformly sized fries almost in the blink of an eye! Be careful not to overcrowd the pan. If you add too many fries at once, the temperature of the oil will decrease too much to crisp the fries. When you are done frying, allow oil to cool before discarding it. Never reuse frying oil. 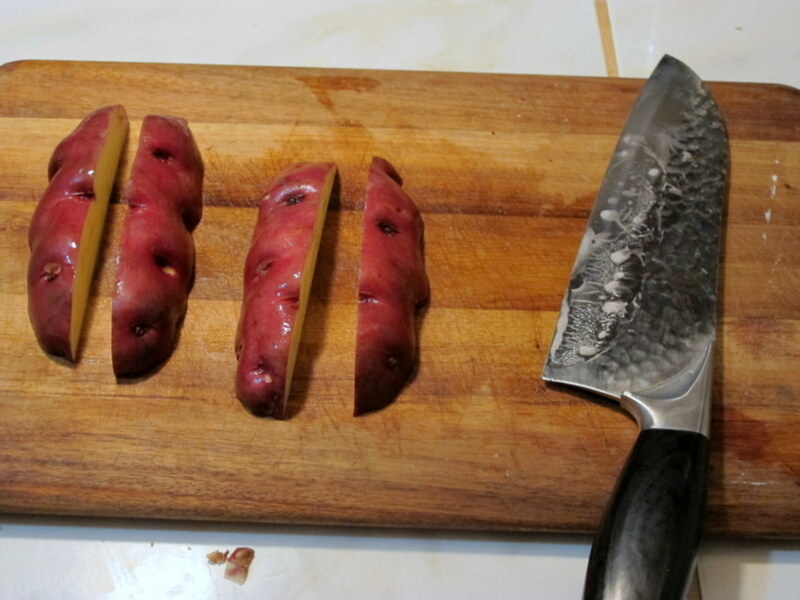 As seen in photographs below, slice clean potatoes into matchsticks (also called "julienne"). 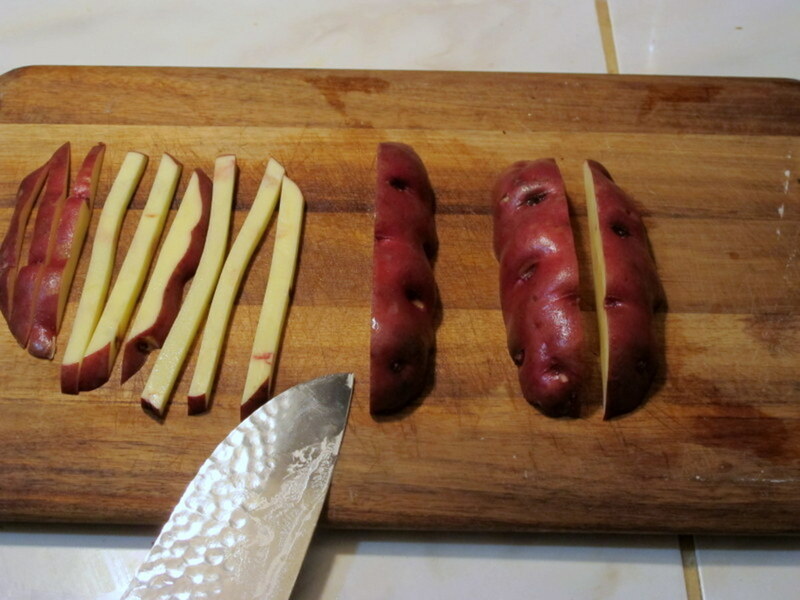 Soak potato matchsticks in cold water for at least 30 minutes to remove some of the starch. Using a deep oil thermometer, heat vegetable oil to 325 Fahrenheit (165 C). Rinse and drain the matchsticks then dry thoroughly with a cotton towel or paper towels. Dust dried matchsticks with cornstarch. 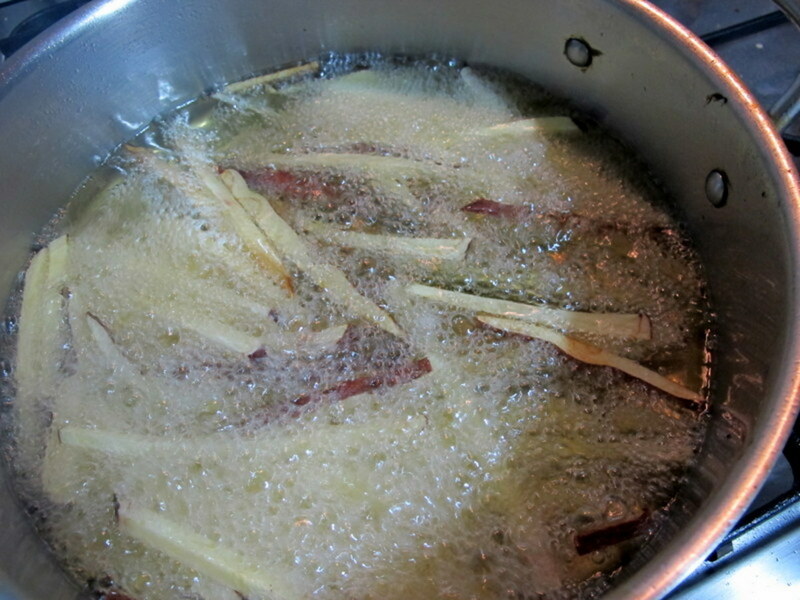 Using a long-handled slotted spoon, wire skimmer or frying spider, transfer matchsticks to hot oil. Be careful not to splash. Fry in batches for 3 minutes. Remove fries to paper towel-lined plate to drain. Increase oil temperature to 375 Fahrenheit (190 C). Refry the French fries in batches, 3-4 minutes or until golden brown. Allow fries to drain on paper towels or brown paper bags. Sprinkle with fry seasoning or finely ground sea salt. Serve immediately. ...a cast iron skillet. Increase oil temperature to 375 Fahrenheit (190 C). Return fries to hot oil, in batches, and fry 3-4 minutes or until golden brown. Potatoes basically fall into two categories: starchy or waxy. 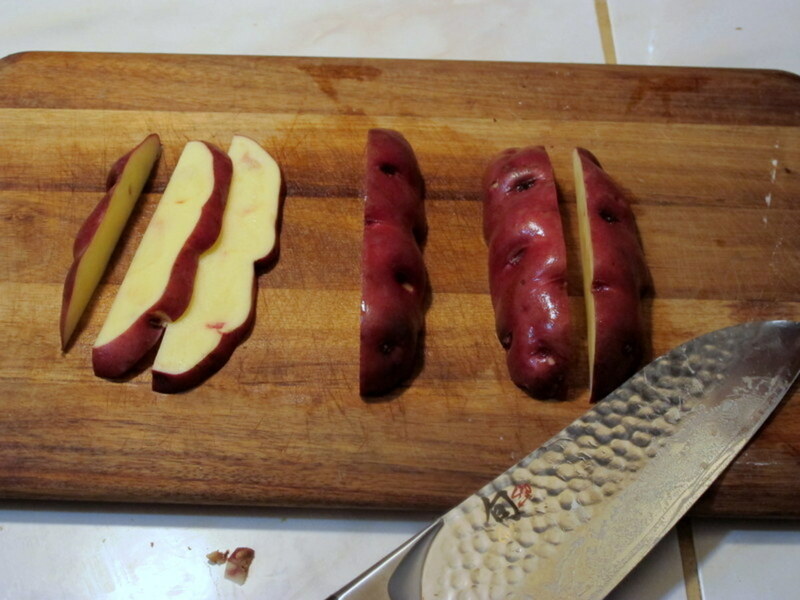 A few potatoes, like Kennebec and Yukon Gold, fall in between (medium-starchy). 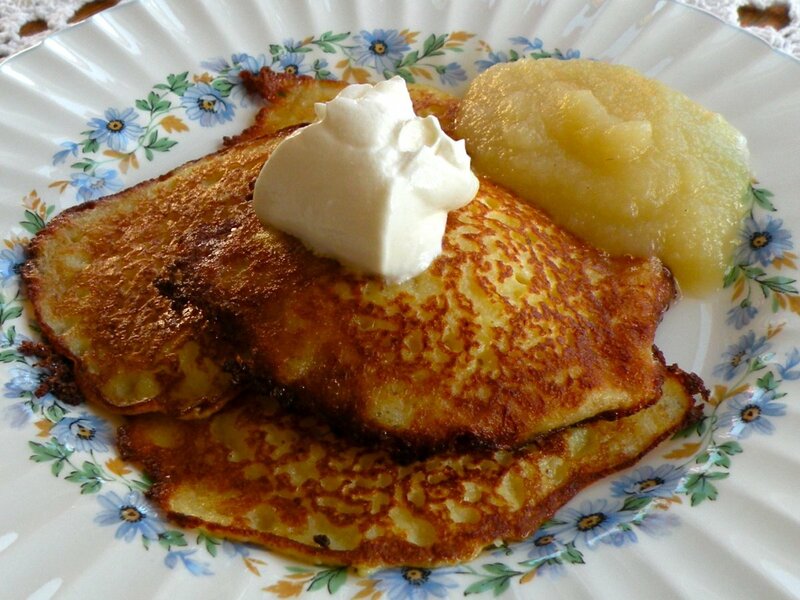 Starchy potatoes are best for frying; the starchier and drier, the better. If you live in the United States the potato of choice for French fries is the Idaho potato, also called the Russet or baking potato. These potatoes are high in starch and low in moisture which translates into tender, crispy fries. Since 2,300 potato varieties exist in Peru, finding the perfect frying potato was quite a challenge. We finally took a tip from La Lucha, a well-known sandwich joint in Miraflores that boasts "the best French fries in Lima". Their fries are crispy on the outside with a tender, nutty-flavored center. The secret? Huayro, or solanum chaucha. This potato is so starchy that when overcooked, it bursts open like a freshly blossomed flower. Now your only decision is to peel or not to peel. We love our fries with their jackets but whichever your preference, you'll be pleased with the results. How do you like your fries? Purists insist on salt: nothing more, nothing less. Which salt is best for fries? We love pink sea salt. In Cusco, where you can buy two pounds for 30 U.S. cents, it's a delicious and budget-friendly choice. Kosher salt is great for extra crunch, although many fry aficionados swear by finely ground salt. After salting, try a sprinkling of garlic and onion powder for your own homemade fry seasoning. 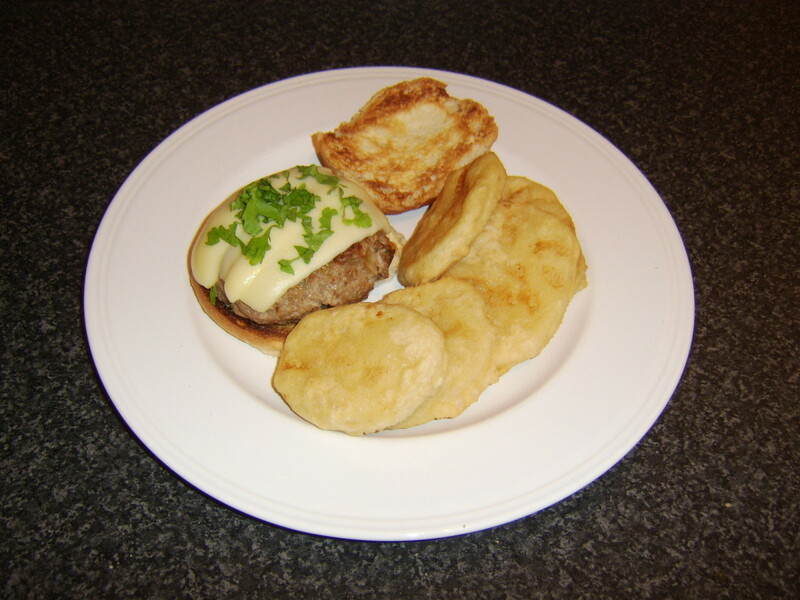 Or mince a few garlic cloves and some parsley and toss with hot fries for a special gourmet touch. Then there's the matter of dipping. Do you prefer ketchup or mustard? Peruvians drench fries in plenty of Peruvian Aji Sauce. In Germany, mayonnaise is a popular fry condiment. French fry lovers in some areas of the United States swear by chili cheese fries, others adore salt & vinegar, while their northern neighbors drown fries in gravy. Please visit our poll to vote for your favorite. If you have an unusual fry flavor preference, please tell us about it in the comments section. 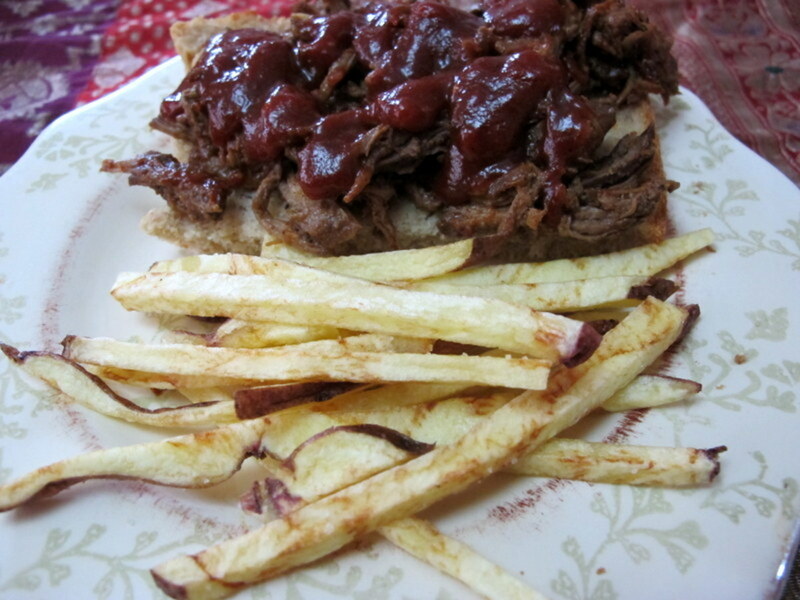 French fries are a great side for Succulent Oven-Baked BBQ Ribs & Top Five BBQ Sauces. Try dipping fries in Authentic Peruvian Aji Sauce and taste why it´s so popular. These look so awesome! I have tried (and failed) to make fries at home but I have never thought to use cornstarch. Brilliant! I usually just buy frozen fries so I'm wondering- could these be frozen too? I try to make double batches of everything while I'm in the kitchen and freeze half for busy nights. prasetio30, I'm glad you look forward to trying this recipe. Thanks for coming by! SanjayLakhanpal, thank you for your meaningful comment. I'm glad this information was useful for you. VVanNess, you definitely can't beat the fresh herbs! A beautifully worded hub with easy instruction. Voted up. A cast iron skillet increase oil temperature to 375 Fahrenheit (190 C), is an interesting information, to save energy. Great recipe! I have a recipe for baking them with plenty of fresh herbs for a healthier twist. But I love it! Careermommy, thanks for your compliment! I would love to do a cookbook. It's been a busy year and writing a few Hubs was about all I could manage. Maybe next year! Thanks so much for your visit. These french fries would be such a hit in my household. I'm sure I'm not the first one to tell you that you should do a recipe book. 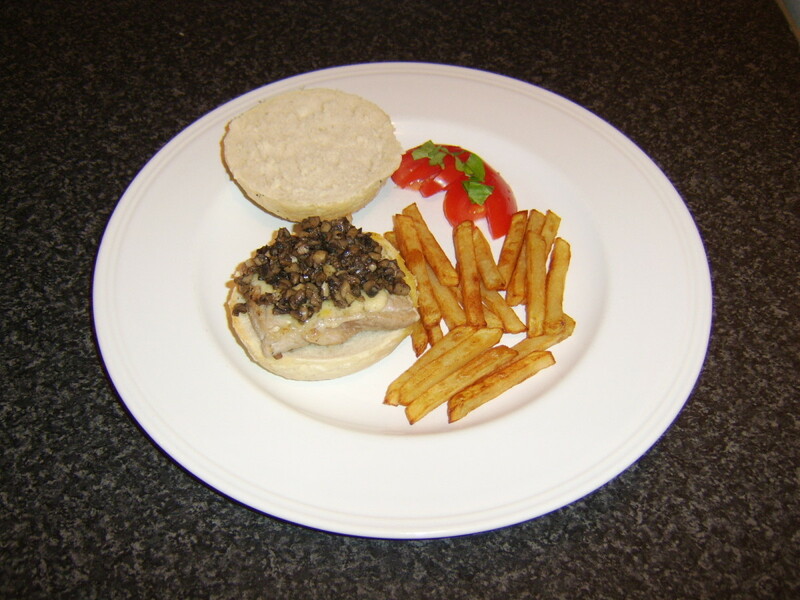 You have so many great recipes on your page. frances-clare, you could also try flour. I haven't tried it myself, but I have a friend who swears by that method. I would just dust the fries lightly, though. For blood pressure, check out my Hub on "Maiz Morado" or purple corn. It lowers blood pressure naturally and you can buy the extract on Amazon. It's worth a try because it doesn't have any side effects, either. Thanks for coming by and please let me know how the fries come out! looking for paprika recipes to see if my husband blood pressure will come down (lol, french fries might not be the way to go) anyway, what can I use instead of cornstarch? Also never thought of making fries without peeling the potato, yey less work! Unknown spy, I've never soaked mine in salt water but it makes sense--salt draws moisture out. I'll have to try that next time! If it works, I'll adjust the recipe. Thanks for the tip! 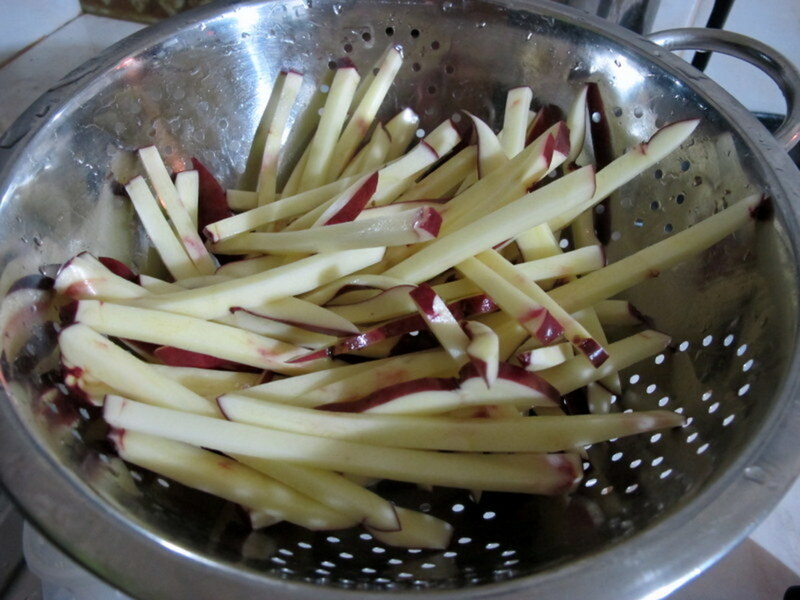 Soaking them in water also draws out moisture and leaches away the starches, which make fries soggy. These are definitely crispy fries! wow this is really good. some say when you soak the potatoes in cold water, you must also add salt too... i guess, its not important to add salt right? At least you have mastered the art of making really good and crisp and well flavored ones! PeggyW, I agree that that are enough French fries in the States to go around! No need to make them at home. Thanks for taking the time to make a comment, though. I appreciate the votes. 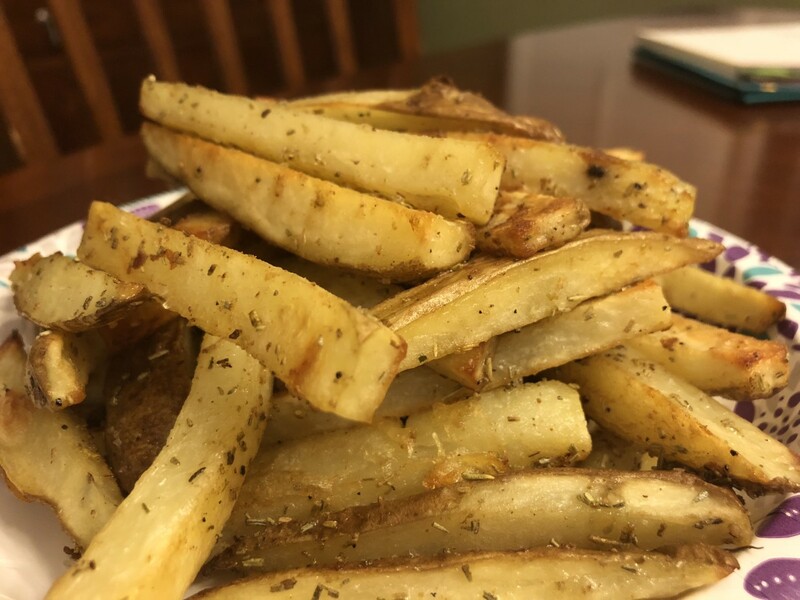 I have never made homemade french fries because as you stated, they are easy enough to find in the U.S. and most of them are really good. We don't own a deep frier nor thermometer for deep frying anything. We try to avoid eating much deep fried food. Once in a while it is a treat to eat french fries out in restaurants. But....if I ever decide to make them at home, this is a great tutorial on how to make them crisp and well flavored. Thanks! Up and useful votes. Pinkchic, the homemade fries are so much yummier than the frozen or fast food ones. Enjoy! Yum, these look delicious! And I love french fries! dobo700, I'm glad you enjoyed the safety tips. Homemade fries are so much better than the frozen variety. Enjoy and thanks for your comment! Sounds delicious, and the safety tips a really useful. Sonimanjari, please do! Enjoy and thank you! Express10, these are delicious fries and we're so fortunate to have huayro potatoes here in Peru. We often oven-bake fries, too, just because it's a healthier choice. But sometimes only french fries will do. : ) Thanks for taking the time to read and comment. I love fries and typically bake them. I also would have never thought of using corn starch. Thanks for sharing. Your photos are so great that I have to go make fries now! FullofLoveSites, potatoes are loved the world over! Thanks for coming by. Denise Handlon, oven baked fries are healthier but I agree...you lose the crispiness. Still, we do oven fries when we don't have company. Thanks for noticing my favorite knife! I appreciate the vote and comment. Mmmmmmm... just plain yummy! Who doesn't love potatoes? Thanks for sharing your recipe. Very useful info here, vespawoolf. I love fries, but don't use the deep fry method. I may give it a try again, after reading this. I usually season them and throw them into the oven to bake, but it loses the crispiness. Jamie Brock, I appreciate your enthusiasm for the common french fry. This technique works every time! Thanks so much for the comment and votes! I knew about the cold water but had no idea about the cornstarch. What a great hub. I love french fries and hate when they come out limp and greasy. Thanks so much for sharing this information. Pushing those buttons. The cornstarch trick helps a lot with oven fries, although they're unfortunately never as crispy as fried. If you eat fries often, the oven method would definitely be a wiser choice. Thanks for the vote and comment, Alocsin. I'll forward this information to the family cook. Is it possible to get crispy fries from grilling or baking them, or do you always have to fry them for the best crunch? Voting this Up and Useful. Lindacee, they really aren't hard to make at home and if you have a craving for fries, I do think it's healthier because you can choose a healthier oil for frying. Enjoy! Thanks for the tutorial on homemade french fries. I haven't tried making them in years -- mine always came out soggy. Now I know what to do thanks to you! Can't wait to give it a try again! DeborahNeyens, mayonnaise is a delicious fry dip. I find this technique is the best. Our friends rave about these fries and say they're better than the old-style McDonald's fries. : ) Enjoy and thanks for taking the time to visit and comment. My mouth is watering! French fries are my weakness. I like to dip them in mayonnaise, which I learned when working at a place called Fries BBQ & Grill in college. I've pinned this to my recipe board so I can try your technique next time I make fries! Flashmakeit, I'm glad you're a fellow fry lover! The cornstarch really does make them crunchier. Thanks for the vote and comment! Never thought of using cornstarch. Useful article because I do like fries. Vote up! Cathy Fidelibus, they really are delicious. Thanks! Yum looking forward to making the fries! 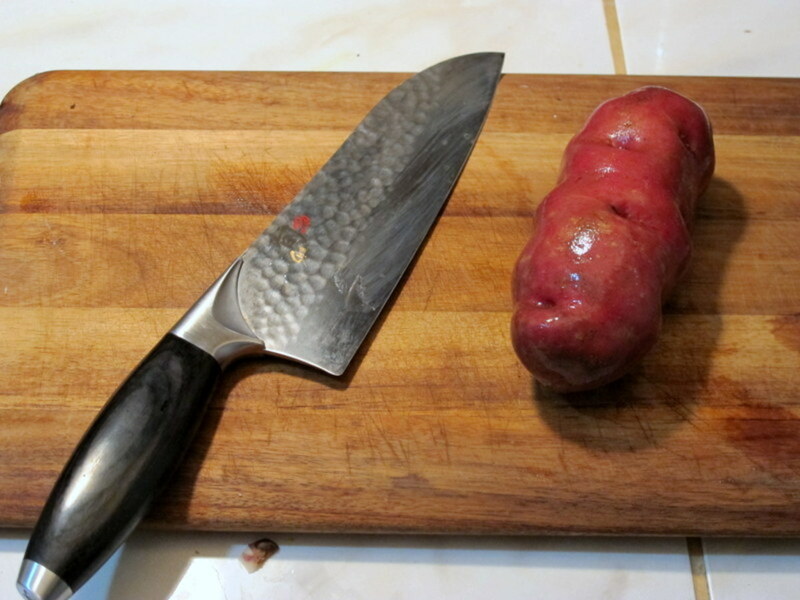 Joaniebaby, the biggest time investment is slicing the potatoes into matchsticks. Other than that, the frying goes pretty quickly. It's so worth it to make fresh instead of the frozen. You won't believe the difference! Thanks for coming by. Thanks for the great hub. We love French Fries and I haven't made them from scratch forever. Will have to try when I have more time. GlimmerTwinFan, you're so right! Everyone loves fries. And potatoes are inexpensive and available most anywhere. Thanks so much for the comment, vote, pin and share! Awesome hub vespawoolf! Voted up and a bunch of others. I will definitely be trying this soon! Pinned and shared too! Who does not like fries. Suzie, I'm glad you enjoyed this frialicious hub so much! : ) Salt & garlic sounds like a unique and delicious dipping choice. Following safety guidelines is definitely important when deep frying. Thanks so much for the comment, vote, pin and share! Randomcreative, the sweet potato fries are a bit trickier since they tend to get limp more quickly. If you've mastered them, regular old French fries will be a cinch! What a great hub! I do love fries I have to say bit do not make them. Years ago we had a deep fryer go on fire in the home so maybe it's a sub-concious thing. 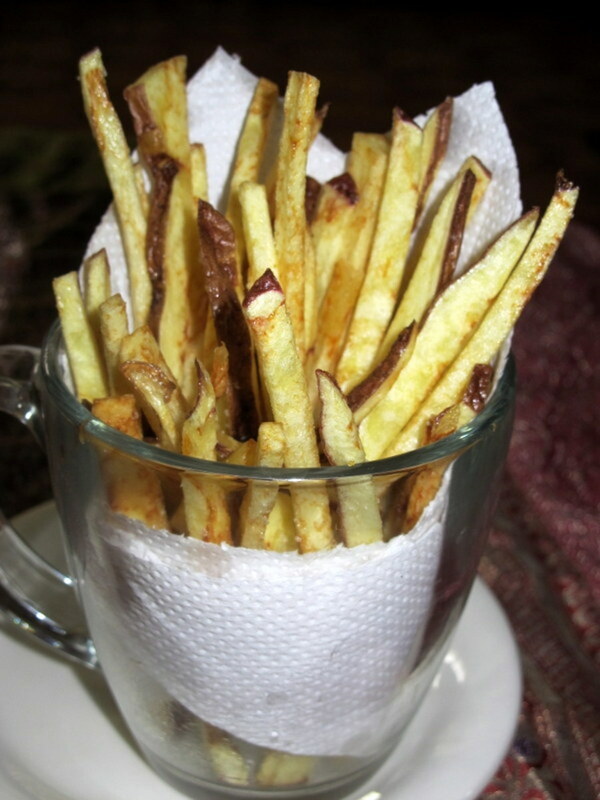 Nothing beats a good homemade chip (french frie) and your info here is FRIALICIOUS !! LOL, could not resist my usual word making! Loved all your tips on oils, potatoes and salt to use. So much interesting info packed in here, loved it! I ticked mayonaise as my choice but I do love salt and garlic mayonaise also on my fries.Loved your tips on seasoning ideas and will definitely make some fries now. Thanks again for a really super hub, All the votes, shares and pinned!! Thanks for the great tutorial! 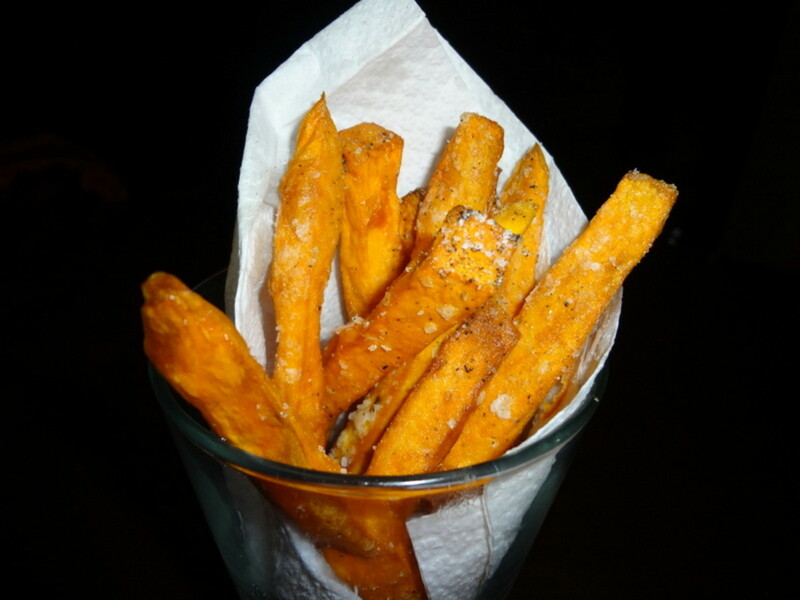 I've recently started to master crispy sweet potato fries and would love to try my hand at regular potato fries, too. Well said, Kaili Bisson. Thank you for coming by! Crystal Tatum, sea salt and paprika is unique! Mrs. Menagerie's fry seasoning recipe has sea salt and paprika, among other things. You're right, there's nothing like crispy french fries. Enjoy! So much nicer with their jackets on...thank you for the great Hub! Yum - nothing like good crisp french fries. I love using paprika and sea salt. After reading this hub, I may have some tonight! Voted up, of course. mmm french fries....dipped in a wendy's frosty...that's what I thinking about!!! Loveofnight, potatoes are an economical food available almost everywhere in the world, which makes them a great addition to any diet. 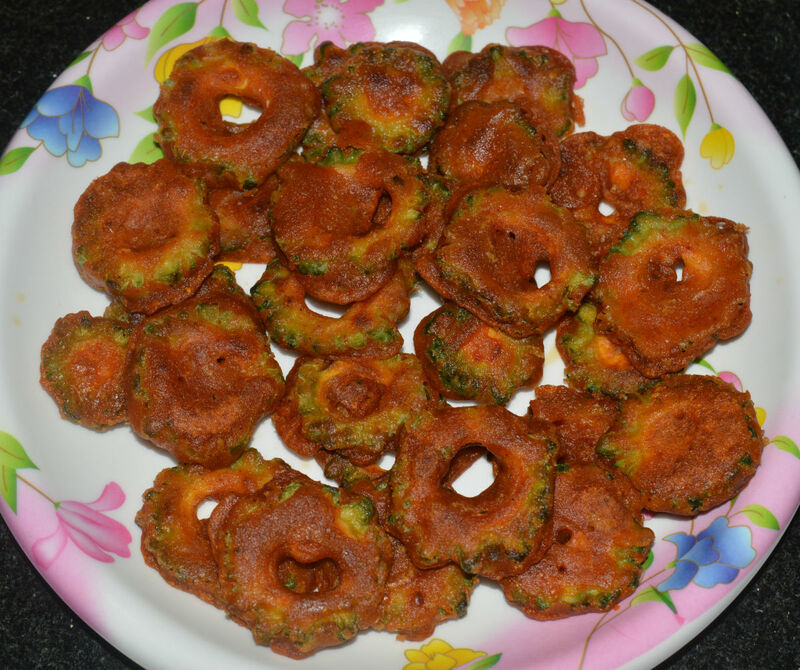 Of course, frying them isn't the most healthy option but a nice treat now and then. Thank you for coming by! Yes, safiq ali patel, I should add that fries are not an everyday food but rather a special treat once in a while. Thank you for reading and commenting! I learned a lot today about my best friend the potato. I will be running out to get that cornstarch now, fried, baked or boiled, potatoes are a welcomed part of my life.Thanks for the info. Good recipe but I would worry a little about the fat. And I think corn starch has a high calorie value too. All this considered I still love fried chips with salt. What a classic. Great hub. Thank you. Carol, I must admit that I only make them as a rare treat, or for when we have company. But they're so worth it! Georgescifo, I'm glad you're going to try it! Please let me know how they come out if you have a chance. Once you get used to the method, you'll find it goes really quickly. Thank you for coming by! Mhatter, how nice to have inexpensive and delicious fries nearby. I probably wouldn't bother to make them at home if I had that luxury! RajanJolly, now that you can use the double-fry method your fries will turn out crispy every time! The extra step isn't difficult and really is worth it. Thank you for the votes and share! So many potatoes and so little time. I have never made french fries and rarely eat them. They are my favorite food. Mouthwatering delicious...Thanks for this hub and how to make these wonderful little yummies. Thank you for the instructions. 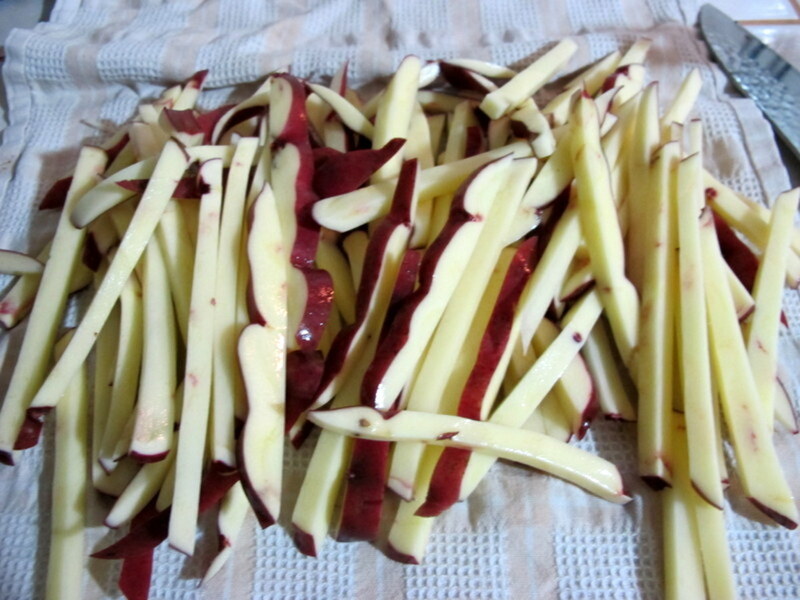 A neighborhood Chinese market has started selling half cooked fries for a little more than plain potatoes. they are good! Needed this recipe. My homemade fries turn out to be limp but now going to be trying your recipe to make them crisp. Thanks for sharing. Useful pics. Voted up, useful, interesting and given 5 stars. Sharing this recipe. PurvisBobbi, I've never tried the cornmeal trick but it sounds delicious! I'll have to try that next time. I'm sure it would make them nice and crunchy...and the chili powder would be tasty and a little spicy. Thank you for your meaningful comment. Thanks for this great hub---and now I am hungry. I will try your recipe and fry then twice. 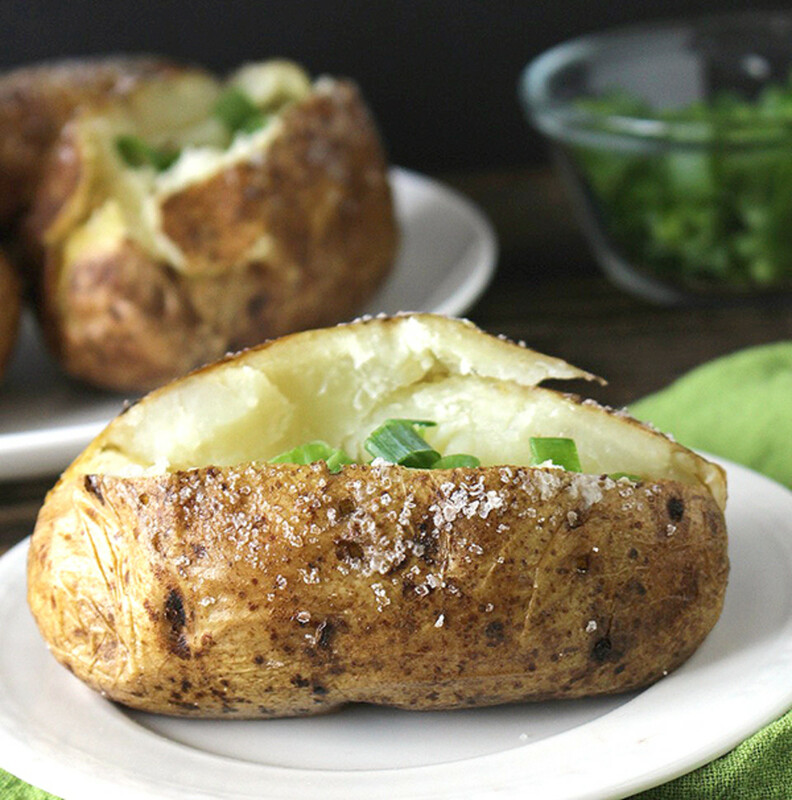 I fix twice baked potatoes---but never tried this recipe. Have you ever coated them with yellow cornmeal and fried them this way when serving fried fish and or sprinkle with chili powder? Billybuc, I'm so glad you liked this recipe! French fries are irresistible, and especially when they're crispy. : ) Yes, 2,300 varieties is overkill and that's a low estimate. When I go to the market I just gaze at all the potato varieties and ask, "which one's best for frying...or soup"...or whatever I'm cooking that day. It's overwhelming. It's always nice to hear from you. VictoriaLynn, I totally respect ketchup lovers. Any particular brand? Thanks so much for the pin and comment. 2300 varieties of potatoes? Kind of over-kill, isn't it? LOL I had no idea there were that many varieties! You are speaking my language with this recipe; finally a recipe I can sink my teeth into. :) Sorry, I couldn't resist. I hope you are well; nice job! these fries look fantastic! We will definitely be trying your recipe soon! Yum! I love french fries, and these look wonderful. With lots of ketchup! Pinning this to use later. Awesome! I love the photos! So corn starch is the secret ingredient. Thanks so much for posting this recipe. I wouldn't have ever thought of using cornstarch. While I'm here I have to ask ... What kind of knife that is in your photos?